Size: 35 x 24.5 x 10 cm. - Product Weight: 252 gram. - Product Size: 35 x 24.5 x 10 cm. 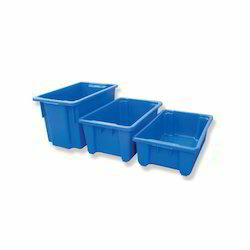 We Plastos Industries understand the requirements of our clients and try to provide them best Vegetable Crates. 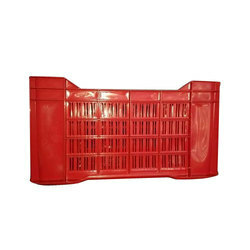 Semi Fresh HD Crate "Green Gulal"
Our illustrious firm is occupied in providing a wide range of Small Plastic Vegetable Crate, which is highly known among our clientele for its robust design and smooth finish. Our offered product is processed under the direction of our skilled employees by employing the optimal quality material and newest techniques.